Hard to believe, but we’re already more than halfway through the Winter Olympics! 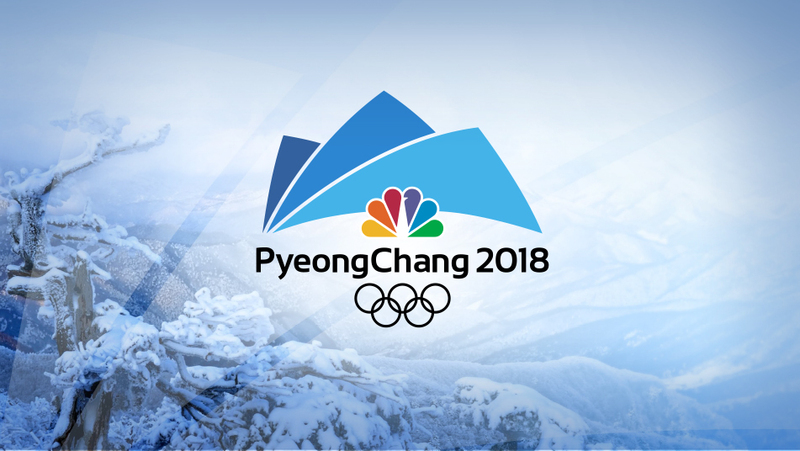 So far, Team USA has racked up ten medals—five gold, three silver, and two bronze—at Pyeongchang with the hopes of a few more over the next days. However, being watch enthusiasts, another type of precious hardware has caught our eye at the Winter Games—Rolex watches, of course. Here are some past and present male winter Olympians and the Rolex watches they wear. To the delight of many who’ve been following his journey, Adam Rippon took home the bronze medal last week in Pyeongchang for his performance at the Men’s Single Free Skating event. As the 28-year-old failed to qualify for the 2014 Sochi Olympics, his win at his Olympic debut was especially rewarding. Rippon may wear bronze around his neck, but he wears gold and steel on his wrist. Off the ice, the figure skater is rarely seen without his two-tone Rolex Datejust with a Jubilee bracelet. In fact, we spotted him wearing it for official Olympic pictures, on his Instagram page, and during his post-event interview with the crew of NBC’s Today show. His particular model is the larger Datejust 41 with the Oyster case flaunting the signature Rolex Rolesor combination of precious 18k yellow gold and rugged stainless steel. The five-link Jubilee bracelet carries on the two-tone colorway, while Rippon’s Rolex dial color of choice is champagne. 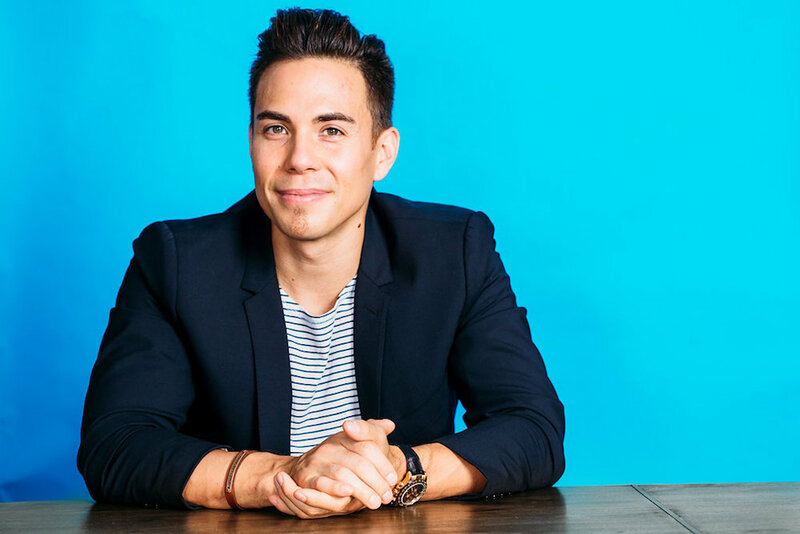 The most decorated Winter Olympian in U.S. history, short track speed skater Apolo Ohno has eight Olympic medals to his name. Throughout his impressive racing career, Ohno has won two gold, two silver, and four bronze medals and participated in three different Winter Olympics. While Ohno retired after the Vancouver games in 2010, he’s present at Pyeongchang 2018 as an official commentator for NBC. On his wrist, Ohno wears an Everose gold Daytona with a black ceramic bezel. Unlike most other Daytona chronographs however, Ohno’s particular model, the Rolex Daytona ref. 116515LN, comes with a black leather strap rather than a metal bracelet. This looks particularly good alongside the Daytona’s black dial. It’s interesting to note that Rolex no longer outfits the Daytona ref. 116515LN with a leather strap, having recently replaced it with the black Oysterflex rubber strap. Figure skater Johnny Weir competed in the 2006 and 2010 Olympics and while he doesn’t have any Olympic medals, he is a three-time U.S. champion and has remained an important personality in the sport. 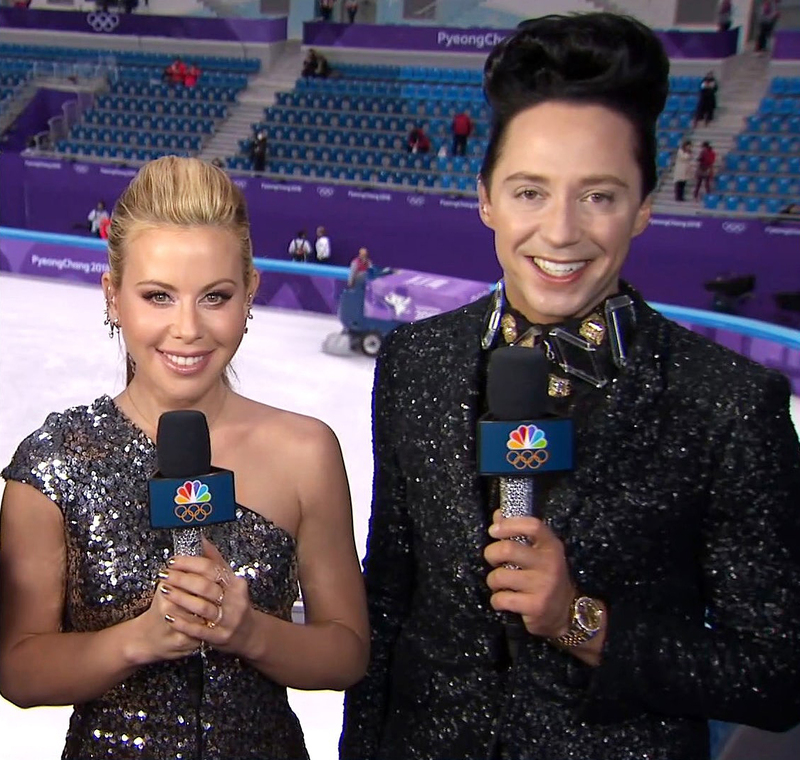 Today, Weir is in the spotlight for his over-the-top fashion choices and sharp commentary during this year’s Olympic skating events alongside his co-host and fellow Olympian Tara Lipinski. It’s been reported that they each traveled with 13 suitcases packed with their incredible wardrobes to showcase in South Korea! To match his extravagant outfits, the two-time Olympian sports a two-tone Datejust on his wrist. And because Weir unapologetically leans towards “more is more,” his two-tone Rolex Datejust naturally includes a diamond-set bezel and diamond indexes on the champagne dial.